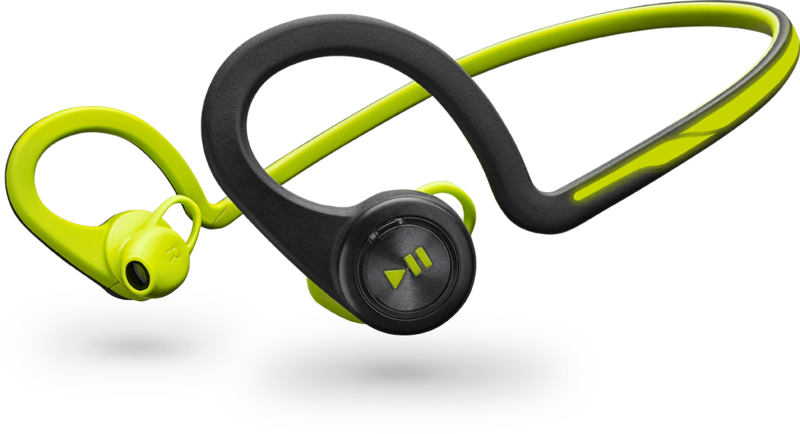 “Disclaimer: I received a Plantronics BackBeat Fit to review as part of being a BibRave Pro. Learn more about becoming a BibRave Pro (ambassador), and check out BibRave.com to review, find, and write race reviews! I had the distinct pleasure of testing and reviewing Plantronics new wireless Bluetooth headset over a two week period in this August. The terms of the review can be found above as part of an Ambassadorship with BibRavePro. If you would like more information, please contact me. Not everyone is a fan of listening to music while running. The debate between the two sides can be as heated as the Iran Nuclear Deal. Regardless of where you stance is, this review is intended for those who DO like to listen to music when they run, walk, work out, work, relax, etc. If you are one who clears their head while running, kudos to you, I AM JEALOUS. I for one need distraction for the most part of my running adventures. My runs typically have music selections of my own choosing or a RockMyRun remix and sometimes you’ll even find a Serial and Undisclosed Podcast with the occasional Triathlete Training Podcast. Of course there are many other great races out there on my list, including becoming a 50 Stater! So why do you travel for race? What are your top 3 destination races? My apologies for not writing more. The end of summer has been full of work and play. We took a family vacation before school started and trying to stay afloat is often at the loss of other things. I have some exciting things coming this week so stay tuned. Oh, don’t forget #BibChat on Tuesday night at 9PM ET. This week’s #BibChat was sponsored by Mizuno Running USA and the topic was “Cracking the Running Code”. During #BibChat, questions were posed that were designed to determine why you run. It was amazing to the not only the wide variety of responses, but also those who were similar. #BibChat was very active last night and had a lot of new “faces”, which is crazy exciting. One of the best parts was watching @JenKirk72 win a pair of Mizuno Enigma 5 shoes ($149.99 value) in only her second #BibChat. Two others were lucky enough to win Enigma 5s and seemed equally enthusiastic. If that is not reason enough to participate in #BibChat, I’m not sure what is. Disclaimer: I received the Mizuno Running Wave Enigma 5 to review as part of being a BibRavePro. Learn more about becoming a BibRavePro (ambassador) and check out BibRave.com to review, find, and write race reviews. When I came home to find the box on the porch I was super excited. I had not had an opportunity to do a wear/run test in a product before so I was very eager to give Mizuno’s Enigma 5‘s a chance. Prior to this opportunity, I had never worn a Mizuno shoe as I have long been a fan of other brands. One caveat I would like to issue, shoes are unique to each person. I use to believe there was a perfect shoe for everyone, however I have learned that shoe manufactures change models from year to year. Additionally, runners change as they become stronger in some areas. As a runner of only two years, I required a high support shoe for my first season. I noticed my running was lacking and switched shoes mid-season to a neutral style and quickly saw PR’s in every category. This Mizuno Engima 5 maximizes cushioning while maintaining a neutral shoe. Mizuno markets the Enigma as a “High Mileage Shoe for High Mileage Runners”. I have only been running in these for 10 days, but so far they seem to have enough cushioning to last. The 10.9 oz shoe maximizes comfort by incorporating midsole cushioning and sock liner while also providing maximum shock attenuation to help run more efficiently. The technology that goes into this maximum comfort is provided by u4icX and u4ic, the midsole foam that is responsible for the perfect amount of cushioning. This past week’s #bibchat was sponsored by Justin’s and focused on “Taking Risks”. As a runner, it seems risks are not only inevitable but a requirement. It is risking to lace up your shoes and run down the road. It is equally risky to put your body through the rigors of training for and running a marathon. Different people take risks differently, some prepare meticulously and lower the risks, while others go out full steam ahead and seem to remember how risky it was when it is to late (insert finger pointing to myself!). Over the past two years I have learned a great deal about running, stretching, cross-training, and resting. Once day I may even figure out the risks side of it too, but until then, each day is a new risk. I am ok with that, without risk, nothing can be earned. Where would we be as a nation if no one risked anything? The Fore Fathers would not have challenged to King to declare independence, the assembly line would not have revolutionized the industrial process, and runners would be lazy and fat. What are some risk you take as a runner? Im not going to write anything long or revolutionary here. Simply wanted to say that I am thankful to live in America and for all of the military who risk their lives afar along with the first responders who risks theirs at home. Happy Birthday America. Tonight’s #bibchat was sponsored by @MobotNation and was all about “Running on the Go!” The chat was very good and revolved around ways to make traveling easier while still being able to work a run into your agenda. Many great tips were shared between members of the #bibchat community, including taking water, GPS based safety apps such as @RoadID’s new app, reaching out to local running stores, and of course, using the running community within #bibchat for advice on strange areas. I am planning two big runs in the next year that require travel. I need your advice. What are some excellent tips for traveling to run races? I was challenged to compete in the Runner’s World Run Streak from Memorial Day through July 4th. My goal was to run at least 1 mile each day through the entire run streak. Unfortunately I made it 12 days before my body was past the point of exhaustion from overtraining. In the 12 days I ran 26.5 miles, which is about what I run in a month. I took the day off and ran Day 13 today. Although this wasn’t in one streak, I’m going to continue to run as much as possible between now and July 4. Have you ever run a Run Streak? How many days did you make it and how far? Be running on a regular basis for at least six months. Keep the intensity and volume light on rest days. Running only, no cross training counts. Don’t run if your injured. Another forum for advice offered seven tips from veteran streakers. Do most runs at a comfortable pace. Remember to do the laundry, lol. With all of this said, it is important to listen to your body. Have you thought about doing a run streak? It is not to late to start. The 2015 Kentucky Derby Festival (KDF) miniMarathon was my second KDF and fifth half-marathon distance race. This race was my first as a @BibRave #bibravepro, although the entry fees were paid 100% in full by me. On the first Saturday in May, Louisville, Kentucky hosts the Kentucky Derby. The Derby is commonly referred to as the “fastest two minutes in sports”. If you love Thoroughbred racing, the Derby is something that should be on your bucket list. If you love racing and horses, the KDF mini/Marathon is definitely for you. The two to three weeks leading up to the Kentucky Derby is a huge party that encompasses Louisville, the Kentucky Derby Festival. 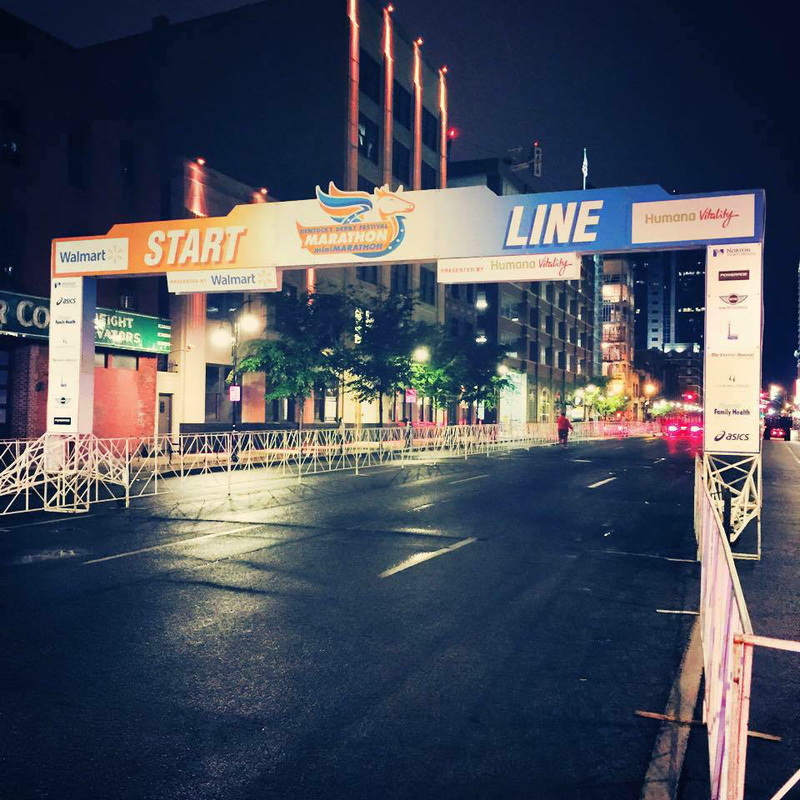 Throughout the KDF, events such as Thunder Over Louisville (North America’s largest fireworks show), Great Steamboat Race, Fest-A-Ville, and of course the KDF mini/Marathon.